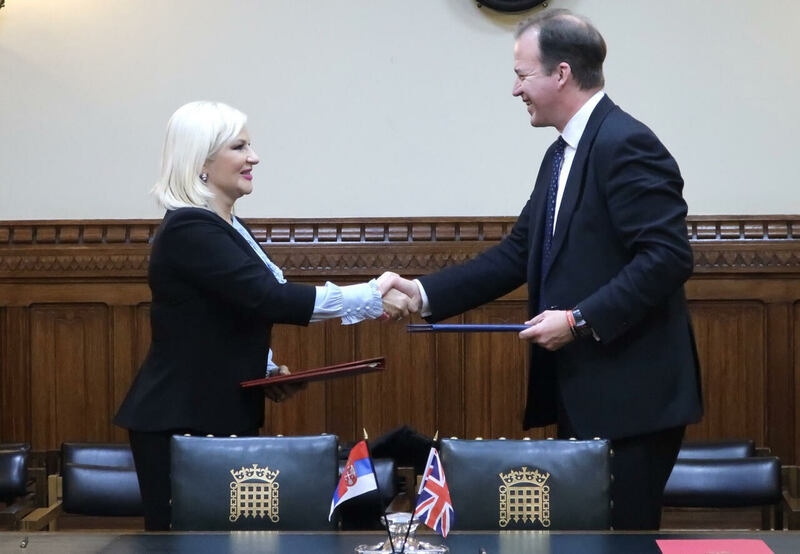 Deputy Prime Minister and Minister of Construction, Transport and Infrastructure, prof. Zorana Mihajlovic PhD, and British Transport Minister, Jesse Norman, signed today the Agreement on international road traffic between Serbia and Great Britain at British Parliament in London. "This is an important day before for Serbian carriers because the agreement that we signed today envisages full liberalization of road transport between our two countries and the transport of freight without licenses and licenses that have so far been a problem. We also talked about air traffic and a bilateral agreement that we will soon agree on in this area, "Mihajlovic said. 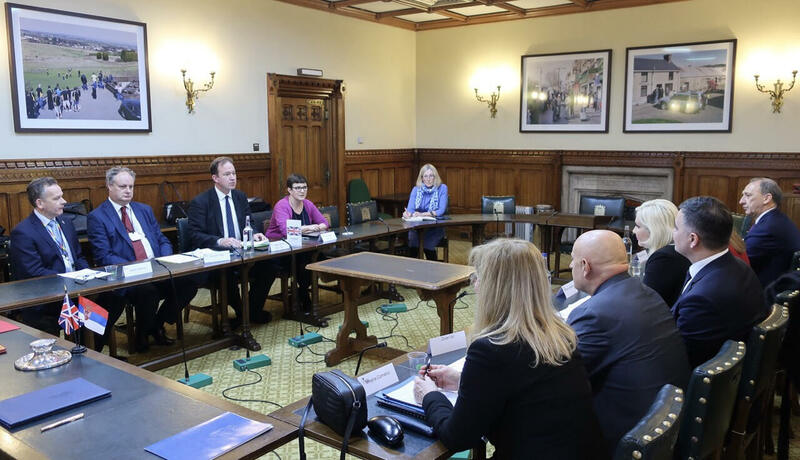 British Minister Jesse Norman expressed satisfaction with today's meeting and the signed road transport agreement, pointing out that this is a huge step forward for both countries and further international cooperation. "I am extremely pleased with the agreement reached, this is important for my country, it is also important for Serbia. We are open for any cooperation, exchange of knowledge and experiences when it comes to transport and infrastructure projects in this area, "Norman said. The Agreement on international road transport between Great Britain and Serbia envisages liberalization of transport with Serbia, which significantly improves the position of Serbian transporters in international cargo transportation. "This is a good news for Serbian carriers, bearing in mind the fact that the goods exchanged and the number of times goods are transported with Great Britain are constantly increasing," Mihajlovic said. She invited Minister Norman to visit Belgrade, which was also accepted by a British counterpart, and one of the topics discussed in Serbia will be signing a protocol between the two ministries on the exchange of knowledge and experience in managing major infrastructure projects. At the end of the meeting, Deputy Prime Minister gave a gift to British Minister Jesse Norman- a picture in goldsmiths, the work of women from the rural areas, who make traditional products using Serbian cultural heritage within the project "Employing 1,000 women in rural areas". Mihajlovic received a book from a British colleague with an inscription. Prior to this meeting, Mihajlovic and her associates visited the largest construction site in Britain and Europe, the construction of a railway below London. It's a project worth more than 15 billion pounds.